Rich Brown plays Blues with a profound respect for the music and legends that created it. His picking is based on Piedmont and Delta style Blues and grows from his own journey tangling with living. Solo and Duo performances are my sweet zone. Combo performance can be arranged. 6:00 pm - 9:00 pm Rich Brown Duo! 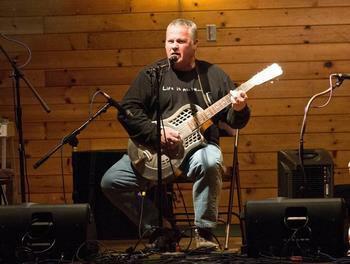 8:30 pm - 12:30 pm Rich Brown Band at Earl’s!